Mujadarra is a rice and lentils side dish served in many Middle Eastern countries. The recipe varies by region, but this is a classic. In a large saucepot, bring water and lentils to a boil. Reduce to low, cover and simmer for 15 minutes. Slice the remaining two onions into rings. Saute rings in 1 1/2 tablespoons olive oil until brown. 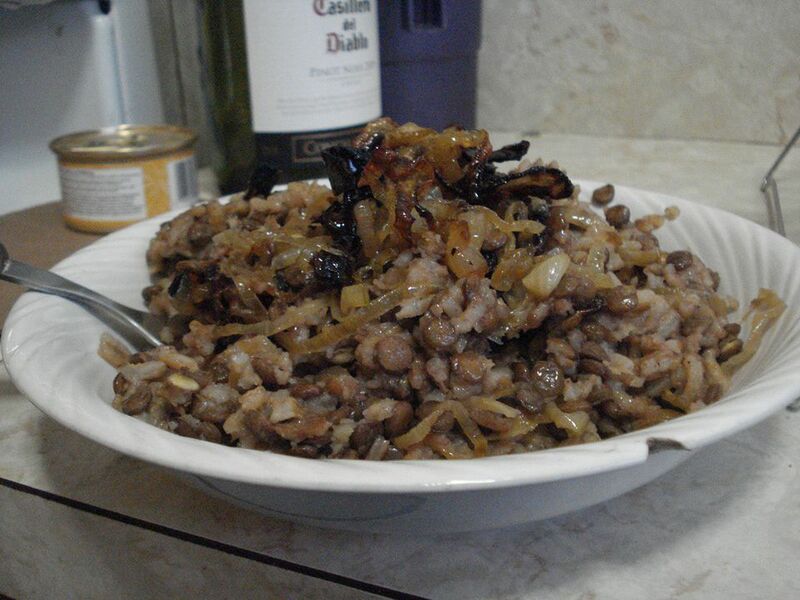 Place rice and lentils onto serving plate and top with sauteed onion rings.